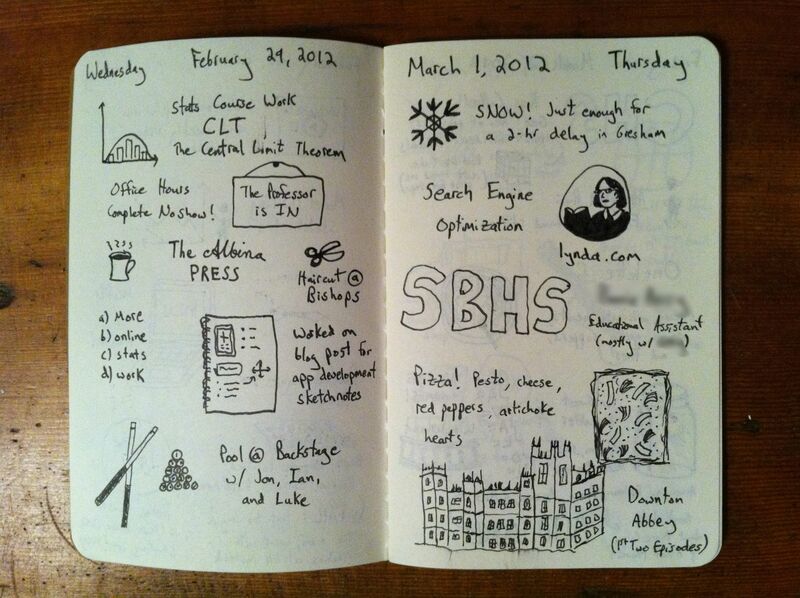 I am enjoying keeping this logbook for many reasons. One is that I find my visual vocabulary increasing in a natural way. With each new experience, I have the opportunity to try sketching something that I have never sketched before, and I feel my skills building every day. 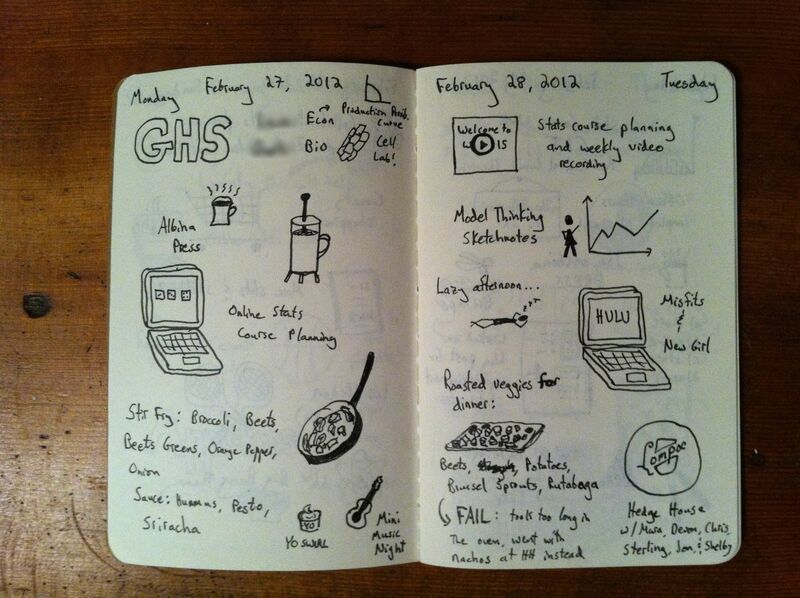 I also like being able to look back and quickly get a feel for how a particular day or week went. 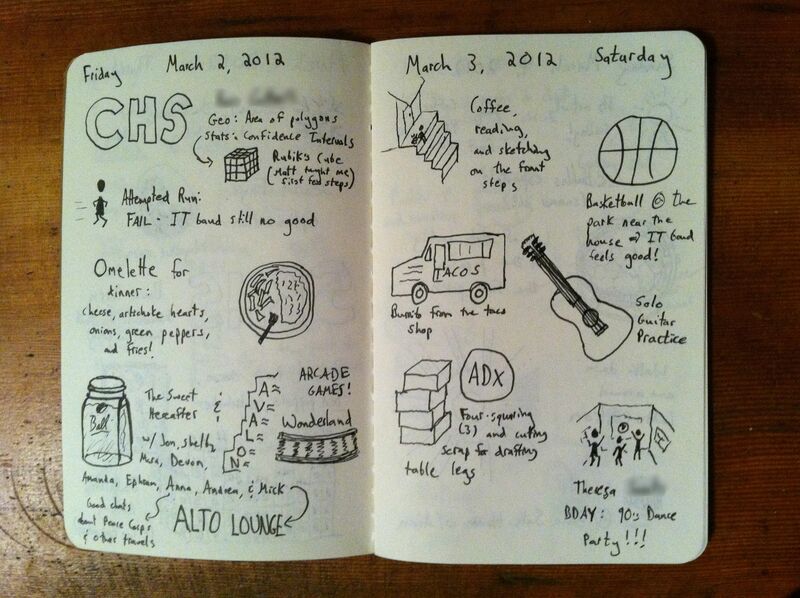 By sketching out the most memorable parts of any given day, it’s easy for me to focus on the uniqueness of each day. I think it is worth nothing that this type of logbook serves a different purpose than a written journal (which I also keep, but which I write in very infrequently). Looking back at the visual logbook, I have a good idea of what I did each day and can even remember how I felt during that day. Rereading journal entries, on the other hand, gives me a view into my specific thoughts. I appreciate the unique perspective of each.